Is anyone else waiting for the other shoe to drop? 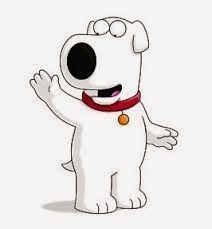 The death of Brian Griffin on Sunday night's episode of Family Guy seems to have ignited a fair amount of discussion about whether this is the right plot move or not, whether it's an act of desperation to draw in viewers, the sign of a long-running show possibly entering its death spiral, or just a mean trick on fans. Then there are the strong opinion's about Brian's replacement, Vito Vinnie. What struck me the most about the episode, though, was the sense that this was a setup for something... I wasn't upset at Brian's death (despite his being one of my two favourite characters on the show), or the implications for the show or what the writers/producers may or may not be up to. Rather, I felt a detached sense of waiting, because the whole story had something familiar to it. By familiar, I don't mean that I thought the writers were ripping anyone off - let's face it, too many primary characters have been killed on too many shows over the years (Henry Blake in M.A.S.H., Marcus in Babylon 5, Fry in Futurama - though he always bounces back) to make a sudden and arbitrary death in any way proprietary - rather, by familiar I mean that the entire episode arc had the feeling of a familiar refrain within the specific Family Guy style: the unrelated aside. The entire episode felt like one of Peter's references to ridiculous past incidents that are obligatory for each episode - "This is just like that time when I [insert your favourite bizarre or inappropriate reference]" - and now it's as though, we, the audience, are waiting for the characters to jump out of the aside, to revert back to the actual story in progress. The whole thing felt very meta in that respect. And maybe that's the point, and we just have to wait for Macfarlane and co. to decide that, having set the joke up adequately, it's time to get to the punchline. What made the whole thing weird was that this sudden bit of genuine heart, of plain-served drama, is something that Family Guy doesn't do often, and doesn't necessarily do well. Sure, this is a series that'll serve up a bloodbath in any episode, or deliberately confront the audience with something uncomfortable and just plain wrong, but these incidents are always so over-the-top ridiculous or, though we may not want to admit it, funny, that they're in keeping with show's usual feel. In that way, Family Guy is like Southpark, even if it's main characters don't get slaughtered in every episode like poor Kenny was for so long (humiliated, yes, but rarely killed). But you'd probably be hard-pressed to remember one of Family Guy's genuinely dramatic moments. The only one that comes to mind for me is the season 8 episode "Brian & Stewie" where the boys get locked in a bank vault and Brian admits he keeps a gun in case he gets to a point where he feels the need to kill himself. This indicates that Family Guy's dramatic moments/scenes/episodes aren't done well enough, or the structure of the emotions the show evokes in general isn't varied or subtle enough to allow those dramatic moments to have any impact. This is unlike Futurama, which is equally wacky, but is not so obsessed with shrilly mocking things to extreme, and so is able to allow the audience to feel legitimate sadness, and to have that sadness feel like it has a legitimate place within a Futurama storyline. Think of the end of "Jurassic Bark" or "Luck of the Fryish" - both deeply moving conclusions to funny episodes in a funny series, and endings that were meaningful to the audience because the writers know how to vary the tone, to let the audience know that they won't be made to feel stupid for feeling anything other than cruel amusement when the characters are put in painful situations. Because Family Guy episodes focus on playing just one note, the audience doesn't know how to react when the show changes its tone and tries to be serious. If it's actually trying to be serious, that is. And again, with that vague meta feeling to the whole episode, I'm not sure that it is. I wouldn't put it past this crew to take us for a ride for a few episodes, then spring an 80s-style "it was all just a dream" reveal on us. We'll have to wait and see if there's another shoe that they'll drop for Brian to fetch, or if it's just a dog's life.